Walk along Cabrillo Boulevard – you can choose to walk on the sidewalk or the beach. This can be a very romantic walk by the ocean ! Santa Barbara Pier – offers great views of the Santa Barbara area. Santa Barbara Zoo – great place for kids. It has lots of open spaces and can easily be visited in two or three hours. (Read Santa Barbara Zoo is the perfect place for a family trip). 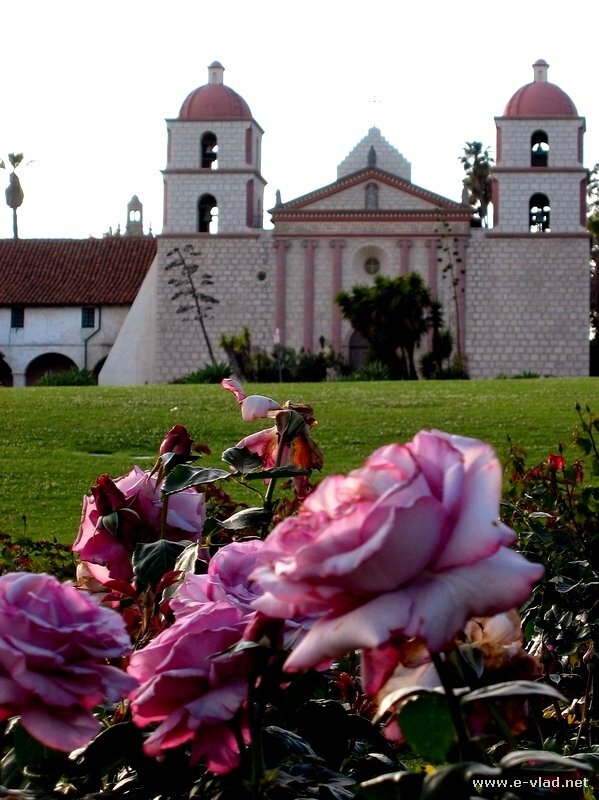 Santa Barbara Mission – visit the rose garden just down the street in front of the mission. Santa Barbara Courthouse – make sure you climb in the tower and visit the old trial room. I believe it’s open until 4:45 pm everyday. Getting to Santa Barbara, California. We live very close to Santa Barbara and we visit very often. Every time we have friends or relatives visiting we try to take them to Santa Barbara for a day. They all love it and we like to go there again and again, even though we’ve already visited many times. The easiest ways to get to Santa Barbara are by car or by train. The Santa Barbara train station is literally next to the ocean and right on State Street (the main street in Santa Barbara). If you come by car exit the 101 Freeway at Cabrillo Boulevard for a great ocean side drive. As soon as you exit the after a few bends in the road, it feels like the whole ocean has opened up just for you to look at. We love driving on Cabrillo Boulevard and look around on a sunny and breezy day. I think for places like these they invented the convertible car, you just want to get out of your car so you can feel the sun and the breeze. Panorama of Santa Barbara and surrounding mountains seen from the Santa Barbara pier. A quick tour of tourist attractions in Santa Barbara, California. The task of finding free parking in Santa Barbara close to the beach is very challenging. It’s actually pretty hard to find free parking along Cabrillo Boulevard, but if you go up the little streets past State Street, you can actually find a few free spots. After parking we usually start walking up State Street, which is the main street in Santa Barbara. It’s packed with shopping malls and European and Mexican restaurants. The coolest thing about State Street is the way it looks…it’s very Spanish or European looking. A short drive up from State Street we get to the Santa Barbara Mission, which is the largest of the 27 Missions in California (if I get my history right), and the most beautiful (a very biased opinion of those who live in Santa Barbara). The Santa Barbara Mission in Santa Barbara, California. Most of the times we don’t have enough time to see more of Santa Barbara. However, because we live so close, we can come back. So, on different occasions we visited the Santa Barbara Zoo which is just a delightful place to visit, especially if you have children. It is a smaller zoo which is great for kids because they get tired quickly, and it boasts great open spaces on top of the hill, with picnic areas and tables for lunch. I prefer the Santa Barbara Zoo to the San Diego Zoo which is just too big. Whether you want to make it a half day trip or an entire day trip, Santa Barbara offers plenty of attractions for different types of travelers. 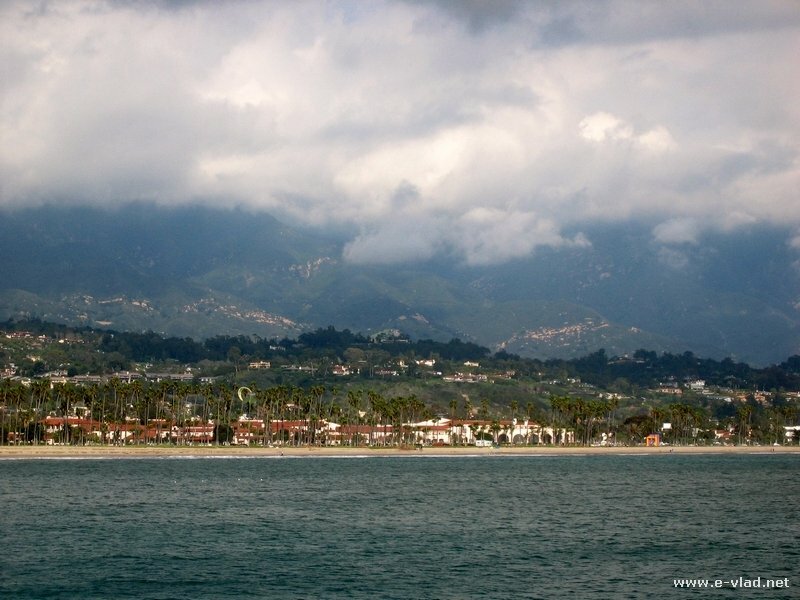 We recommend visiting Santa Barbara to all of our family and friends. Landon…it is one of my favorite place in Southern California. 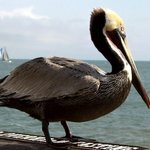 These are some great pictures you took of places around Santa Barbara, I’m really impressed! The mission is positively beautiful, along with the rose garden across the way. Actually that entire neighborhood would be wonderful to actually live in! I am about to go on a trip to Santa Barbara soon enough and I cannot wait to have a picnic in the grass and read a good book at the Rose Garden.